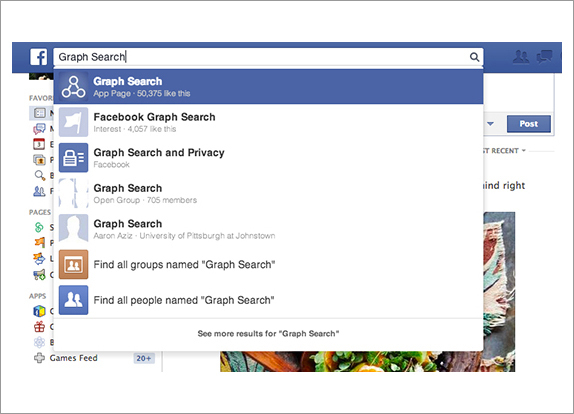 Facebook’s Graph Search is the platform’s natural-language search engine. On Monday, Facebook expanded its Graph Search functionality, allowing users to search within check-ins, status updates, photo captions, and comments. This update is currently available only to a limited number of users on desktop devices, but will roll out to all desktop users over the coming weeks. Previously, Graph Search would return results only for people, places, photos, and interests. The Takeaway: This is great news for your business. If your customers are checking in at your establishment, writing comments on your Page, or mentioning your business in a status update, this content is now searchable—which means that more people will be able to find you via Facebook search. Encourage your customers to interact with you on social media to maximize your exposure. In June, a number of major media companies, including Google, Facebook, and LinkedIn, filed a motion requesting the right to publish more information about government data requests. This week, the Center for Democracy and Technology sent a letter to the Senate and House Judiciary Committees in support of this motion. U.S. Department of Justice officially stated this week that it would not allow companies to disclose the number of requests for user information made by the government under its surveillance program. The Takeaway: Businesses will continue to lack insight into what data the government is requesting from major tech companies. If image search is important to your business, you’ll be thrilled to hear that Bing is now including Pinterest boards in its image search results. The boards show up on the far right of Bing’s image search results page. The board name and image count are displayed, along with the Pinterest user’s account name. Clicking on a Pinterest board result leads to another page that shows almost the entire set of images from the Pinterest board, starting with a visible link to visit the board itself on Pinterest. Results are displayed from Pinterest users with a wide range of follower counts. The Takeaway: If your business isn’t on Pinterest, now’s the time to join. The images you share of your products and services will be visible both on Pinterest’s network and to search engine users on Bing. Don’t miss out on the opportunity to showcase your offerings to potential customers online.